YOUNG AGRICULTURAL scientists, innovators and researchers are being encouraged to submit their research project ideas. Applications are open for the Science and Innovation Awards, which covers 13 industry award categories. Winners will share the $286,000 in grant funding towards their projects. 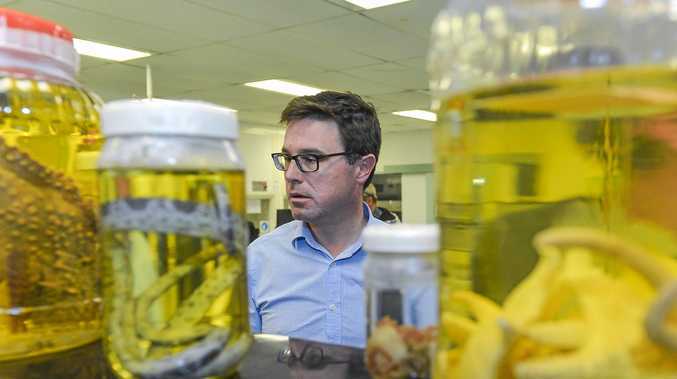 Federal Agriculture Minister David Littleproud, said the awards recognised the regional innovation that drove rural industries. "Research and innovation will help us capitalise on global food demand,” Mr Littleproud said. "Innovation drives productivity in Australian agriculture and helps us push towards the National Farmers Federation vision of a $100 billion agricultural industry by 2030. The grant money will be available to the winners for either work or study in the agriculture industry. "I encourage passionate young scientists, researchers and innovators to submit the ideas they have to improve the productivity, competitiveness and sustainability of their industries,” Mr Littleproud said. Applications close on Friday, October 12, and information and how to apply can be found online at www.agriculture.gov.au/scienceawards.